Reptiles and birds have highly diverse hearing organs. Data on a huge amount of information concerning all aspects of structural, neurophysiological and anatomical aspects are reviewed as published up to mid-1988: in addition a good deal of yet unpublished data from the author's laboratory are included. 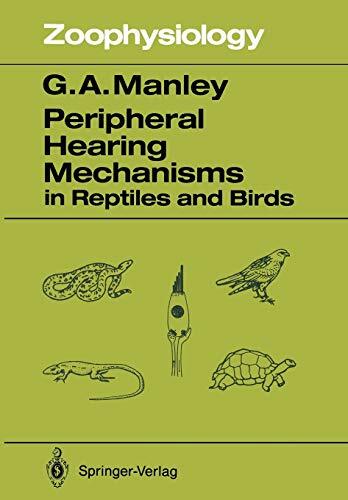 The literature on hearing is scattered through a great variety of zoological, medical, psychological, psychoacoustical and bioengineering journals: this book condenses all important findings in one source.